As a Project Manager, Duong focuses on principal development management and strategic real estate advising. On the principal development side, she concentrates on project planning, permitting, community engagement, leasing efforts and management of consultant teams. Duong uses her skills in real estate financial analysis, architectural design and market research to support LMP’s efforts as a long-term strategic advisor to institutions and as investors in value-additive assets. She brings blended experience in real estate development, architecture, housing policy and finance consulting. Duong currently is working on projects for Northeastern University and UMass Boston as well as the 40 Thorndike project in Cambridge. 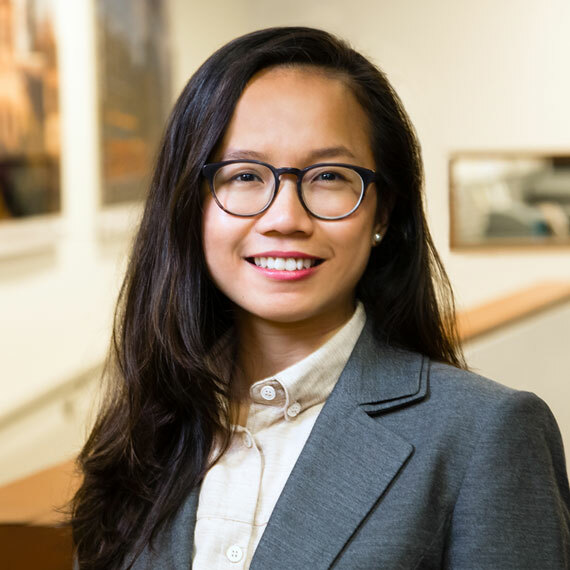 Prior to joining Leggat McCall Properties, Duong worked at the New York City Economic Development Corporation’s Real Estate Transactions Group as a Summer Associate, conducting deal underwriting, RFP structuring and analysis, and developer interviews. She also worked at the Affordable Housing Institute in Boston, where she led projects in Boston, Southeast Asia and the Arabian Gulf as an advisor to real estate developers, governments and financial institutions on housing policy and finance issues.